Elit Chocolate and Confectionary will be exhibiting at APAS 2018 fair that will take place between May 7 – 10, 2018 in Sao Paulo, Brazil for the fourth consecutive year. 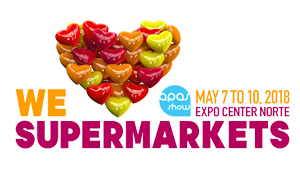 APAS Brazil is acknowledged as one of the biggest Supermarket Trade Show in the World. It will be a great pleasure to host our Brazilian and other Latin friends arised in Red Hall, stand number 876A located at Expo Center Norte.